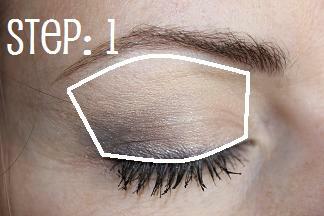 i have had a lot of positive feed back about these tutorials, so here is my basic Greige eye. easy as one, two, three. if there is every a specific shade or style you would like to see broken down, just message me and i would be happy to create it. with a pencil brush or sponge tip applicator, apply your greige shade directly above lash line and make a small rectangle at the edge of your eye. take your fluffy brush and blend around the rectangle to diffuse the color. enjoy your greige eyes. 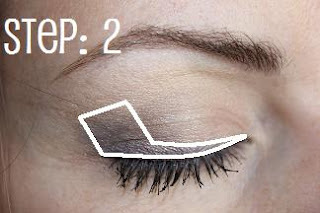 make them really pop by lining your upper and lower waterline with a black/kohl eyeliner. Kristie, this is so pretty. I have a couple of questions. What is a pencil brush? Can yu do an eye tutorial for those of us with smaller eyes? When I do too much eye shadow it is very quickly too overdone. Thanks! Very subtle! I love it!! i would be happy to do a tutorial for smaller eyes. i will try to put one together for next week. CCI, ICCT, and Hunter, thanks ladies!